A customized, coordinated deck railing instantly improves the looks and safety of your outdoor space. A nice rail profile and style combined with carefully selected colors and finish will easily take your deck from okay to exceptional. Besides its beauty and aesthetics, deck railings go a long way to keeping your decks safe. 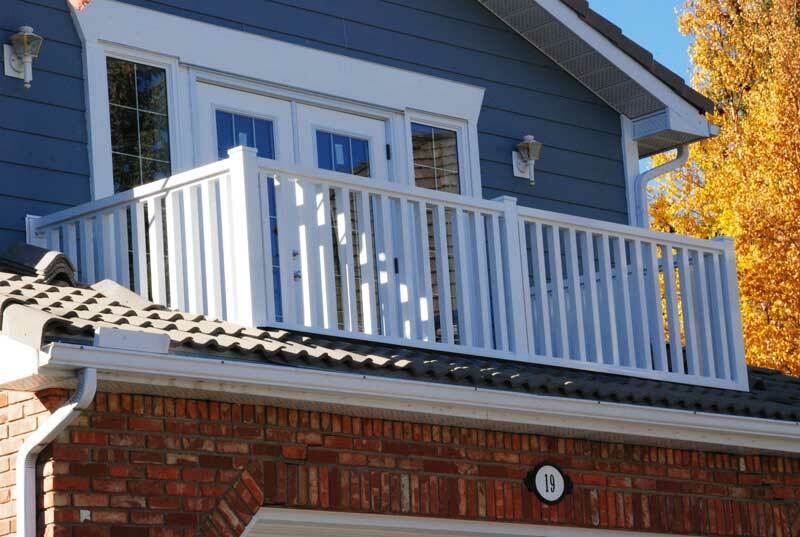 Here we answer some important questions you might have about deck railings. Not necessarily. If your deck height is below 30 inches above grade, you do not have to install a guardrail. Anything above 30 inches though, would require one. Nonetheless, you can always choose to install a railing system for any deck length, but it must comply with available building codes. What Are The Deck Railing Codes? Deck and railing installations are guided by the International Residential Code (IRC) and the International Building Code (IBC). The IRC applies to deck installations in single-family detached homes. It stipulates that guardrails must be no less than 36 inches in height, measured from the deck surface to the top. The IBC, on the other hand, stipulates no less than 42 inches in height of guardrails. It serves as a guide for business and commercial offices, apartments, and multi-family buildings. There are other building codes to keep in mind, so ensure that your home conforms to all acceptable standards. 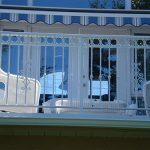 How Do I Care For Composite Railings? Unlike wooden railings, composite and/or vinyl railings don’t need staining, sanding, or repainting. However, it is sure to collect dirt and splash stains from time to time. Mild soap and water or a spray cleaner could be used to take care of any surface dirt and/or stains. What Type Of Railing Best Fits My Home? House style: Your home’s architectural theme and framework would play a major role in your choice of railing. While some railing types are great for traditional or cottage styled homes, some are more contemporary in nature and better suited for a modern themed home. Maintenance: Composites require minimal maintenance and are easy to clean out. They also do not need you looking out for them at every instance as they are quite forgiving to regular “wear and tear”. Exposure: While some railings are so thick they obstruct your view of the surroundings, others are thin and have a profile that allows you enjoy the scenery. This exposure could be a factor depending on your preferences and the theme of your home. Lighting: For those who enjoy using their decks after night fall, or those who love the improved aesthetics that railing lighting gives your entire home, you would want to consider railing systems with integrated lighting. If you have decided to install a railing system in your home, do not be scared of getting audacious and adventurous. Mountain View Sun Decks would love to work together with you to create a uniquely customized product for your home that properly accentuates your home’s exterior.